A web of fiberglass is bonded together with latex and stretched over steel frames creating a contemporary design reminiscing of the 1950's. When illuminated, the fiber shows through the soft fabric and adds texture to this unique look. 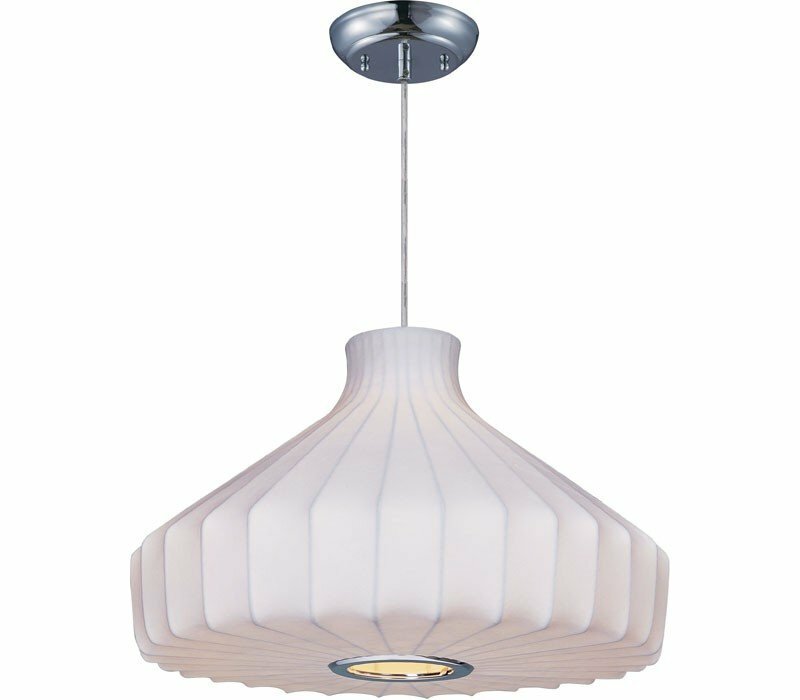 The Maxim 12187WTPC Cocoon collection Pendant Lighting in Polished Chrome uses Incandescent light output and brings Modern style. The total wattage is 60 and the voltage is 120 volts. 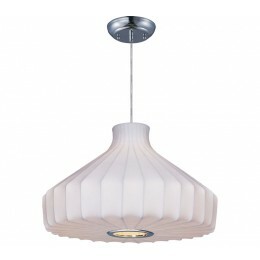 The Maxim Lighting 12187WTPC requires 1 bulb (not included). Additional Information: Shade-White Fabric.